Textile House: Coming Soon... here and gone. Coming Soon... here and gone. 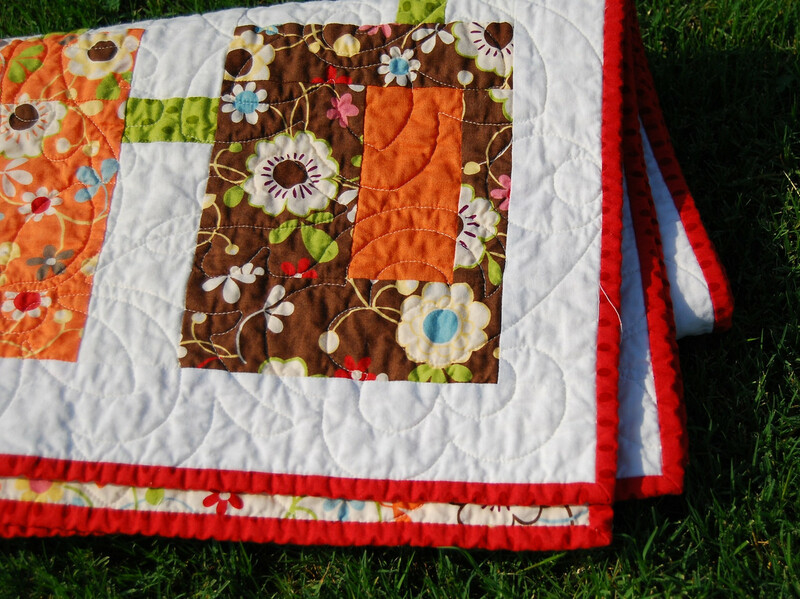 I love the crinkling that a quilt gets after that first wash.
Like it's already been snuggled with and loved. 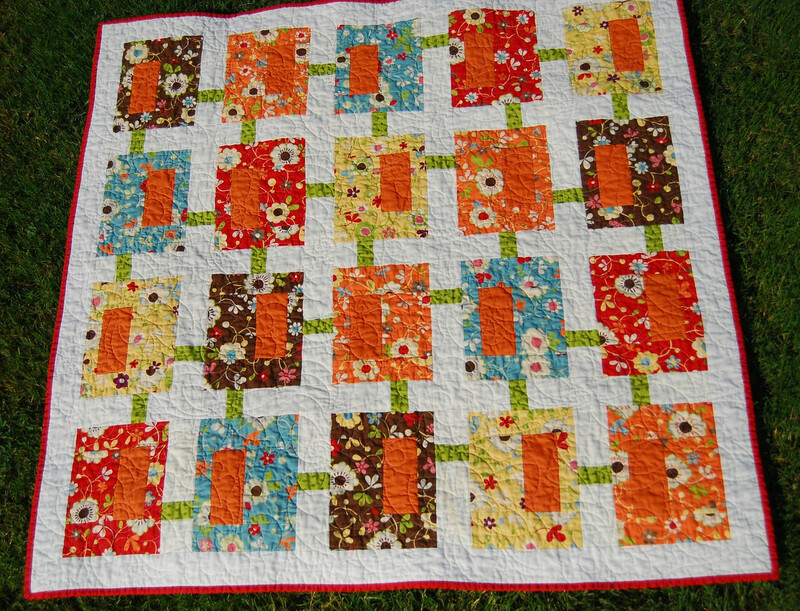 I had to piece the back since I made the borders of the quilt a little larger than the pattern called for. But I think, that having to piece the back added a bit more flair. 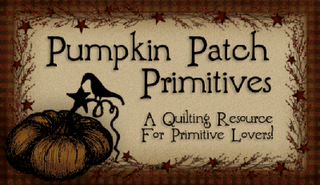 It also gave me a chance to incorporate the label onto the quilt. 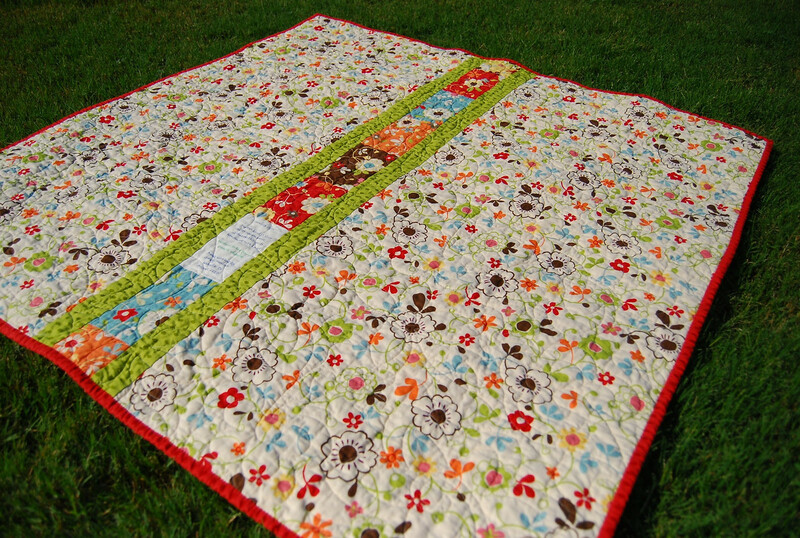 I love the big flowers Mary quilted on it since it allows for a bit more loft to the quilt. I hope it's loved and cherished in it's new home. 6 comments on "Coming Soon... here and gone." 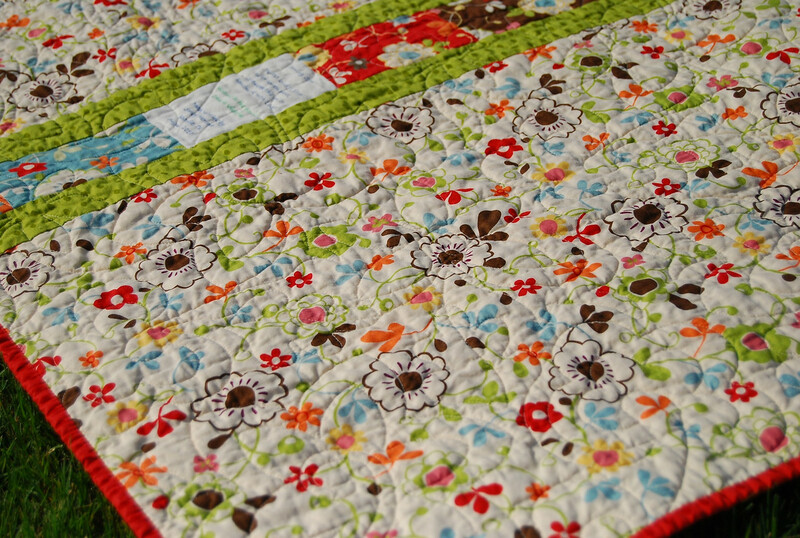 The fabrics are so nice, they really enhance the quilt; I'm sure she will love it! 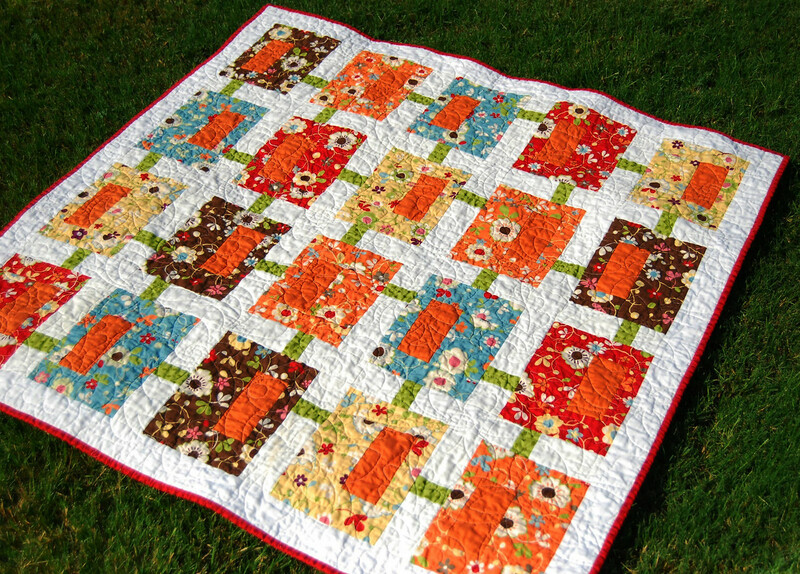 Beautiful quilt, love the orange fabrics. I see you are from DFW area, so am I. Oh!! I love how it looks in those colors. It turned out great.Thank you SO much for sharing! Made my day. What a pretty quilt...looks familiar. :0) Appreciate the shout out. Love it, love it! 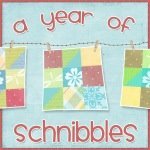 Great job - and the fabric is too cute! Way to sew!